A little to the West of the city centre, ringed by a wall 11km (7 miles) long, is Europe’s largest enclosed city park. Phoenix Park is over 1700 acres in size. The name “Phoenix” is said to be a corruption of the Gaelic Fionn Uisce, meaning “clear water”. This refers to a spring that rises near the Phoenix Column which, to add confusion, is crowned by a statue of the mythical bird. 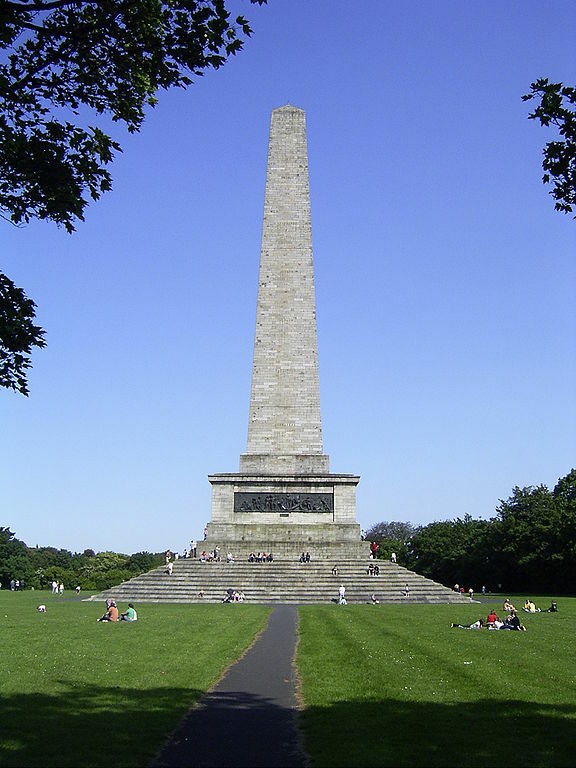 Phoenix Park originated in 1662, when the Duke of Ormonde turned the land into a deer park. Deer still roam in the park today. In 1745 it was landscaped and opened to the public by Lord Chesterfield. Near Park Gate is the lakeside People’s Garden – the only part of the park which has been cultivated. A little further on is the famous Dublin Zoo. In addition to the Phoenix Column, the park has two other striking monuments. The Wellington Testimonial, a 63m obelisk, was begun in 1817 and completed in 1861. It allegedly took so long to be built because of the Duke of Wellington’s fall from public favour. Its bronze bas-reliefs were made from captured French cannons. The 27m steel Papal Cross marks the spot where the Pope celebrated Mass in front of one million people in 1979. Buildings within the park include two 18th century houses Aras an Uachtarain the Irish President’s official residence, was built in 1751 and was home to various British viceroys until it became the residence of the president in 1937. The other is Deerfield, the residence of the US Ambassador and once the home of Lord Cavendish, the British Chief Secretary for Ireland who was murdered in 1882 by an Irish nationalist. The only building open to the public is Ashtown Castle, a restored 17th century tower house which contains the Phoenix Park Visitor Centre. Five times the size of Hyde Park in London and over double the size of New York’s Central Park, Phoenix Park is large enough to accommodate playing fields for Gaelic football, hurling and polo, and running and cycling trails. It also has a motor racing track and facilities for horse riding. Phoenix Park is a must-see attraction and is worth a visit on your tours of Ireland.